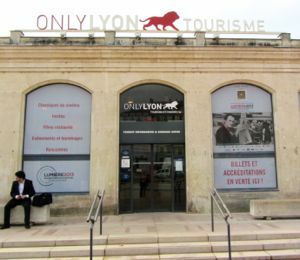 The Tourist Information Office for Lyon is located at the Place Bellecour, on the Presqu'ile. Although it's easily recognized by its logo—the words Only Lyon and a lion—it's not that easy to find because two buildings on Place Bellecour bear this legend. The actual tourist office is in the plainer building on the east side of the Place Bellecour. If you're looking at the front of the statue of Louis XIV on horseback, it's the one to your left. To wash your clothes, go to the self-service laundry called Au Laverie de Saint Georges in Vieux Lyon, on Rue St. Georges, right at the Place de la Trinité.